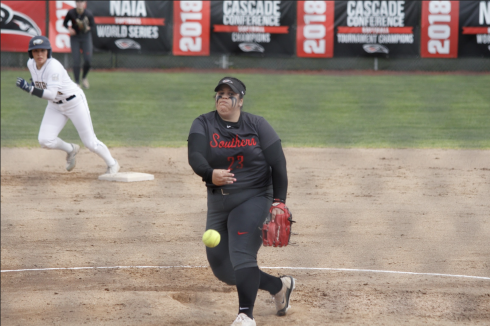 “Everything about today is real,” said Maggie Montgomery, the President of the Southern Oregon University Criminology Club. Earlier in March, the Crim department held their annual Crim Lock-in. This year, for the first time, they offered the seminar as a registered course for one credit in addition to the experience. 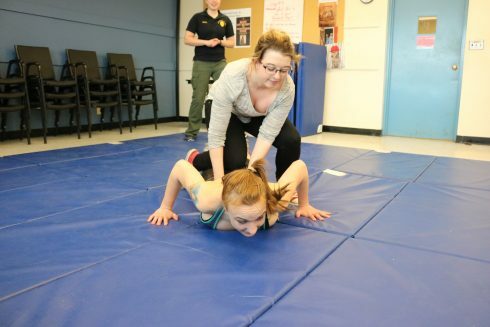 Students, staff, faculty are invited to participate in activities such as the Oregon Physical Abilities Test (ORPAT) or learn defensive tactics. Students are offered a number of modules through which they can spend time with officers from different departments and law enforcement branches. 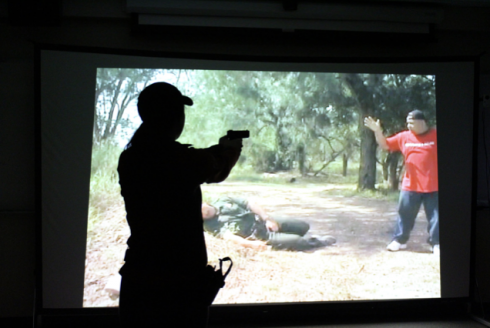 One of the most popular is the Shoot-Don’t-Shoot simulation ran by Sergeant Jason Antley and Corporal Randy Jewell. 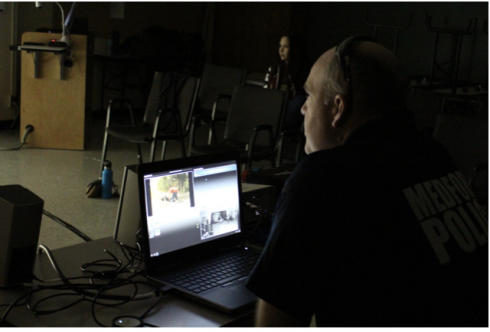 The simulation included three different scenarios: an active response to a school shooter, a response to gun shots with an officer down, and a drunken man wandering around a park. 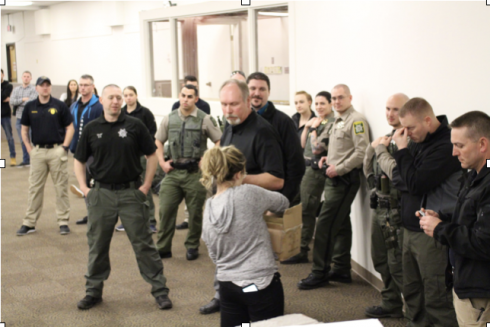 All of the students participating during the 2:00 PM timeslot performed the scenarios in the exact same way, proving to Jewells and Antley that they knew the proper times to shoot at a suspect during a high stress situation.